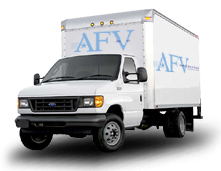 Woburn area businesses have been relying on American Food & Vending to provide the latest in vending equipment and top notch customer service for over thirty years. We offer Woburn businesses full service vending, coffee service, and installation of water filtration systems. 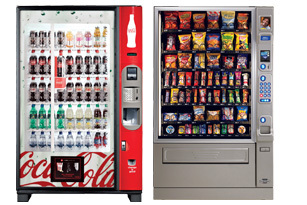 Vending machines: We offer a wide variety of vending machines, with name brand products and generic forms. We have vending machines with Coca Cola products, Pepsi Cola products, healthy drinks and snacks, traditional snacks, coffee vending machines, and candy vending machines. We also have vending machines with hot and cold food choices. We’ll come out to your Woburn business and help you determine what would best serve your personnel and customer base. Coffee services: Our professional staff will create a break room worthy of your excellent Woburn work force. No more complaints about the coffee in your office! From quality equipment from Bunn or Newco, and coffee from Victor, you’ll have the selection and coffee options to please all. We’ll supply the other items that compliment your coffee such as filters, cups, napkins, creamers, sweeteners, and even the stir sticks. Flavored teas and hot chocolate will also be supplied. Keep your employees happy and focused on their jobs, not leaving on long breaks to go and get the coffee they want. Water filtration: Space can be an issue in any business. Isn’t it time you got rid of those five gallon jugs and had American Food & Vending install a filtration system? We’ll turn your Woburn tap water into crisp, clear, great tasting water that would be great to drink by its self and help you have even better tasting coffee. Why wait? Call us now at (800) 553-2222! COPYRIGHT 2011 AMERICAN FOOD VENDING - ALL RIGHTS RESERVED.